If you are developing a high-tech product that’s meant to be “the next big thing,” earning the endorsement of Apple co-founder Steve Wozniak is a really big get. 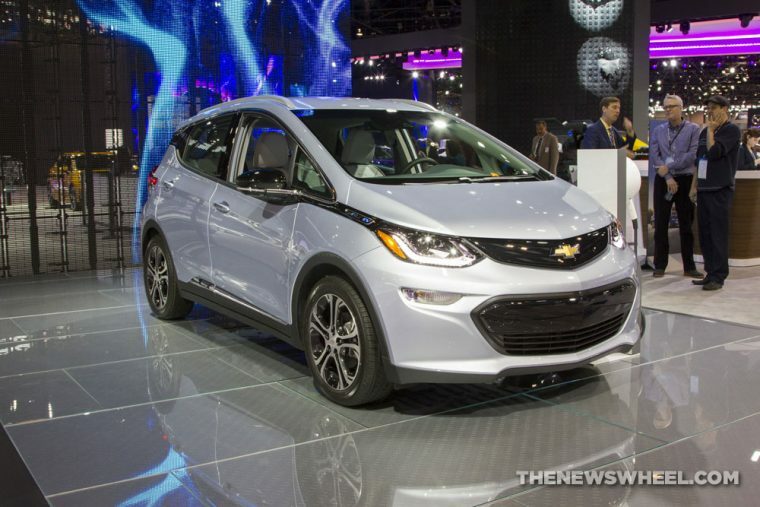 And the 2017 Chevy Bolt Electric Vehicle has earned just that distinction, with Wozniak recently praising the EV over its main competitor, Tesla. “Tesla is a fine car. It’s just high price,” Wozniak said while appearing on CNBC’s Squawk Box, as if money is of some object to him. Woz also added that he prefers the spaciousness of the 2017 Bolt EV to that of his Model S, and believes that the Bolt’s sound system is better for listening to music. He also singled out the Model S’ large center touchscreen as being specifically inferior to the Bolt’s layout. The Woz purchased his 2017 Bolt EV at the beginning of this year, and it has now replaced the Model S as his preferred daily driver, thanks in part to the car’s 238 miles of range. Of course, Woz’s gushing about the Bolt could be partially influenced by his endorsement deal with General Motors. The tech legend appeared in the marketing campaign for the Cadillac CT6 back in 2015. In keeping with the theme of endorsing products he may have a financial interest in, Wozniak also said that he loves his Apple Watch, too.